The white-backed duck is a waterbird belonging to the Anatidae family. 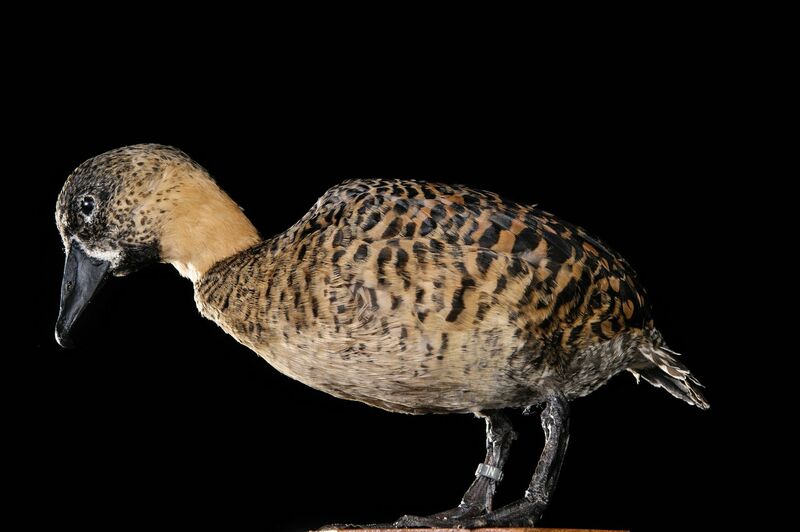 It is distinct from all other ducks, but most closely related to the whistling ducks in the Dendrocygninae subfamily, though also showing some similarities to the stiff-tailed ducks in the Oxyurinae subfamily. It is the only member of the genus Thalassornis. 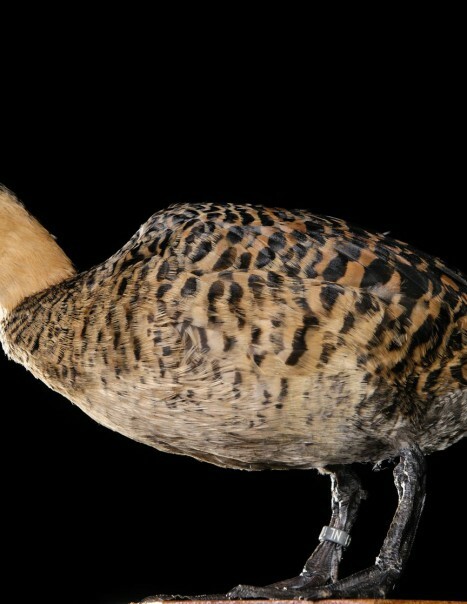 It measures 38 to 40 cm and it is a duck that swims very deap in water. The neck is short, topped with a big head. The plumage is brown barred with yellow, the head is dark brown with a white spot near the beak. It is found in Africa, Nigeria, Chad in Africa, Sudan, South Africa, Madagascar. It frequents wetlands provided with vegetation. Their habitat consists of lakes, ponds, swamps and marshes where they are well hidden against predators.